I have called my business, “Professional Ceremonies” because that is exactly what I do. 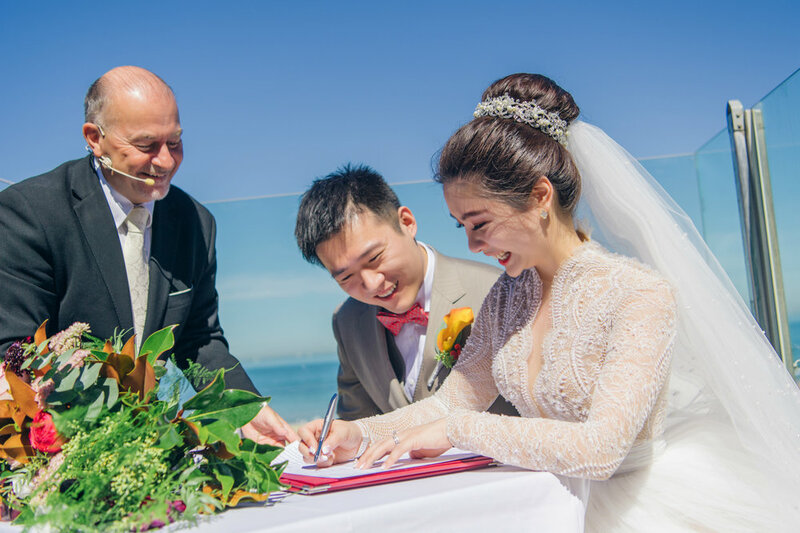 I help you to ensure that your wedding ceremony is stress free, as formal or as casual and relaxed as you wish, and free of headaches or glitches that could leave bad memories in your guest’s minds. We absolutely loved working with David. He created a wonderful experience for us in the lead up to the wedding, and delivered a superb performance on the day. David’s enthusiasm and approach made the preparation process both enjoyable and stress free. He arranged to meet with us personally as an introduction and was very flexible on times. It was clear from the outset that he is incredibly passionate about his work and has such an amazing amount of experience. He made us feel as ease straight away and guided us step by step through the process. We even had a mini-ceremony practice in our lounge room on his first visit. David spent time with us at the original meeting, not just to introduce himself but also spending time getting to know us and our story. David provides an information pack which guides you through designing your ceremony. He has an extensive set of resources that you can review at your leisure. You can simply highlight the information that you need (he even provides the highlighter pen) and send it back to him (he provides the pre-paid envelope). David will then weave it into a draft and then visit you again for a first run through. We were amazed that his first draft was about 98% of what we wanted, and only needed some fine tuning. David did offer to meet with us as many times as we wanted to ensure we got it perfect. We had a final rehearsal with David which was great and it made us feel very relaxed and at ease about the day. He paid attention to the finer details of the ceremony, such as where we should stand for better photo opportunities, to deciding on how we sat for the signing. The day itself went perfectly. David was there early to make sure everything was organised and laid out correctly, and that those involved remembered what they needed to know. More importantly, he provided moral support to the groom which really helped my nerves! David controlled the music and other details, but more importantly his delivery of the ceremony itself was great. His delivery was flawless and he was both sincere and also funny at the appropriate times. 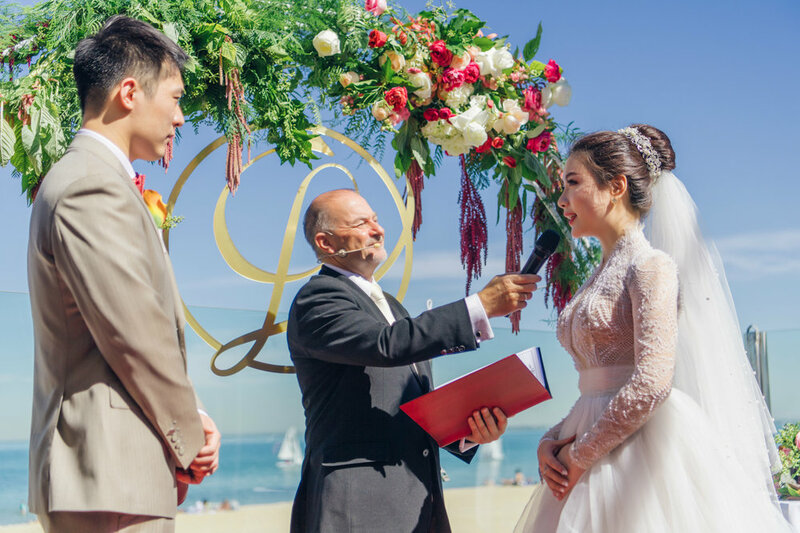 Several of our guests commented that it was the most memorable ceremony that they had attended. We couldn’t recommend him more highly.